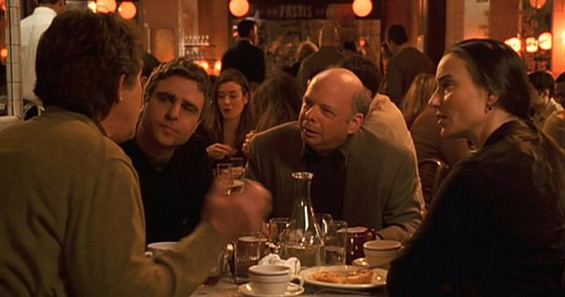 Over a meal in a French restaurant, Sy (Wallace Shawn) poses a conundrum to his fellow diners: Is the essence of life comic or tragic? 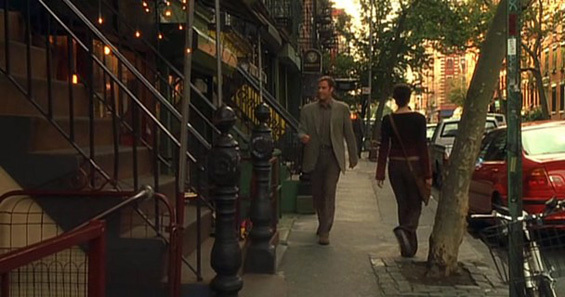 For the sake of argument, he tells a story, which the others then embellish to illustrate their takes on life. 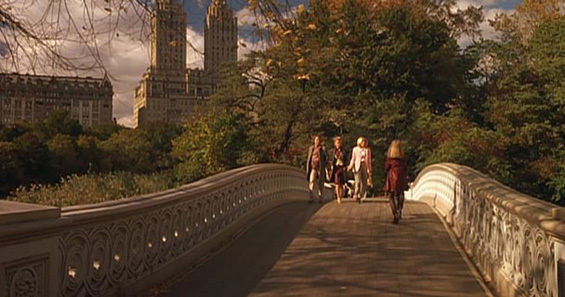 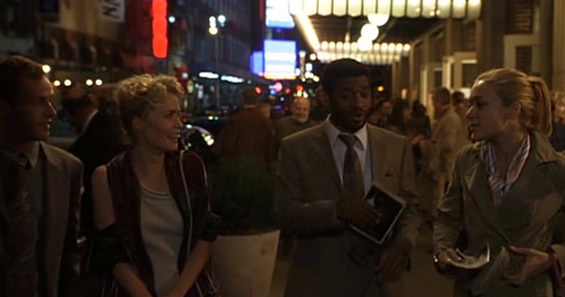 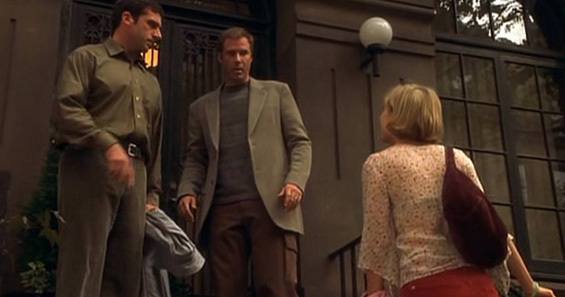 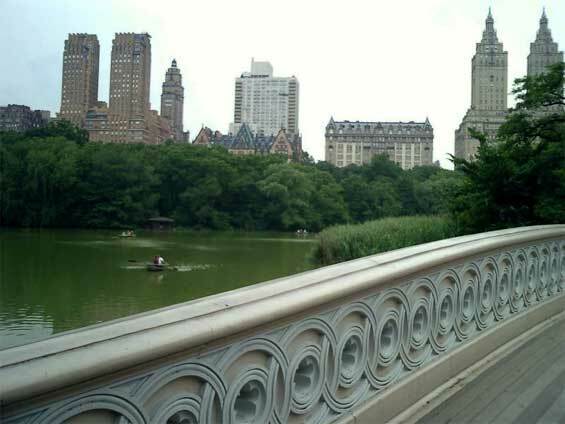 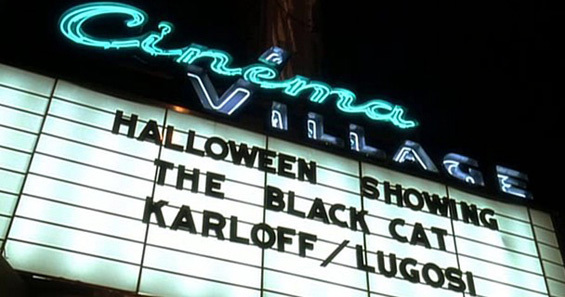 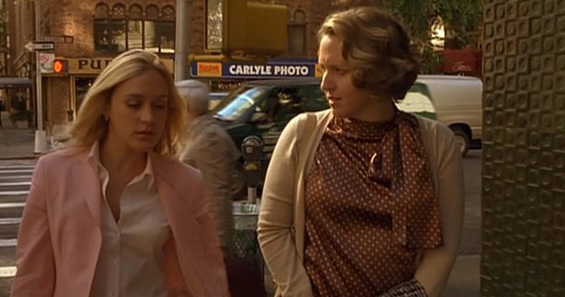 The story starts as follows: A young Manhattan couple, Park Avenue princess Laurel (Chloë Sevigny) and tippling actor Lee, throw a dinner party to impress Lee's would-be producer when their long-lost friend Melinda (Radha Mitchell) appears at their front door, bedraggled and woebegone. 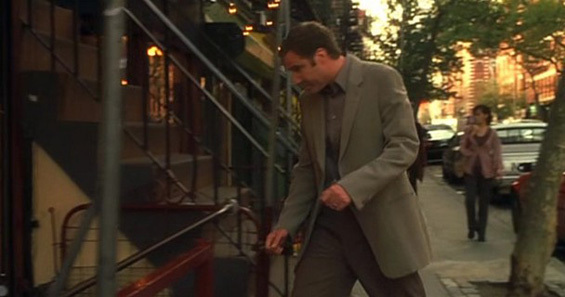 In the tragic version of what happens next, the beautiful intruder is a disturbed woman who got bored with her Midwestern doctor-husband and dumped him for a photographer. 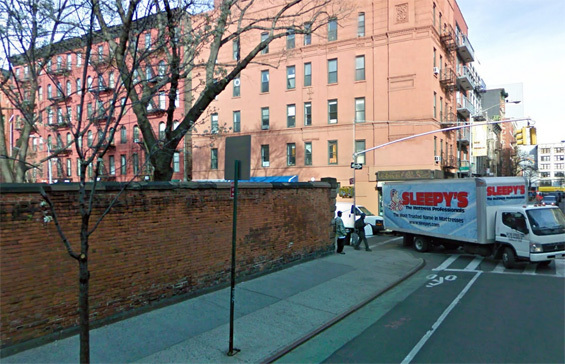 Her husband took the children away and she spiraled into a suicidal depression that landed her straight-jacketed in a mental ward. 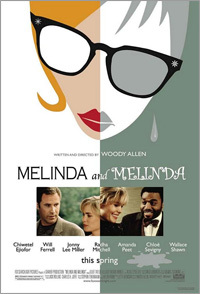 In the comic version, Melinda is childless and a downstairs neighbor to the dinner hosts, who are ambitious Indy filmmaker Susan and under-employed actor Hobie. 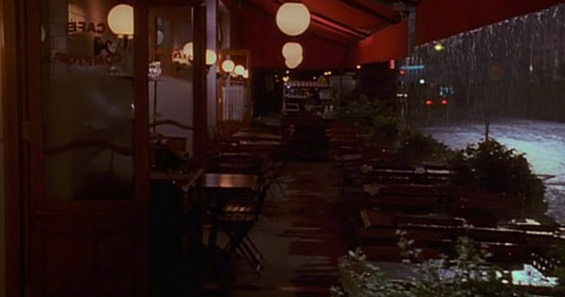 Back and forth the stories go, contrasting the destinies of the two Melindas. 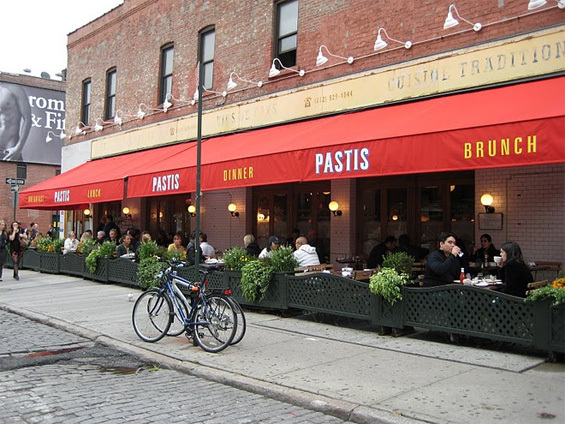 Pastis, 9th Avenue and Little W. 12th Street, Manhattan. 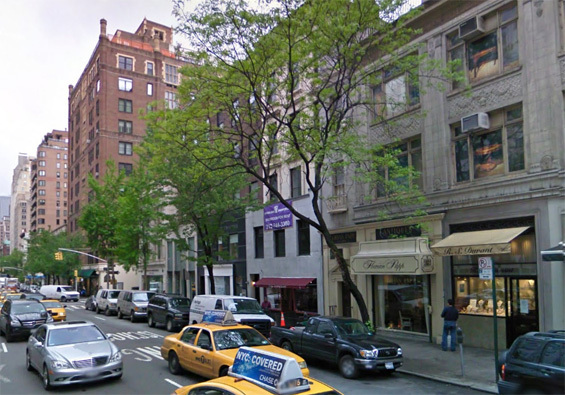 Madison Avenue and East 76th Street, Manhattan. 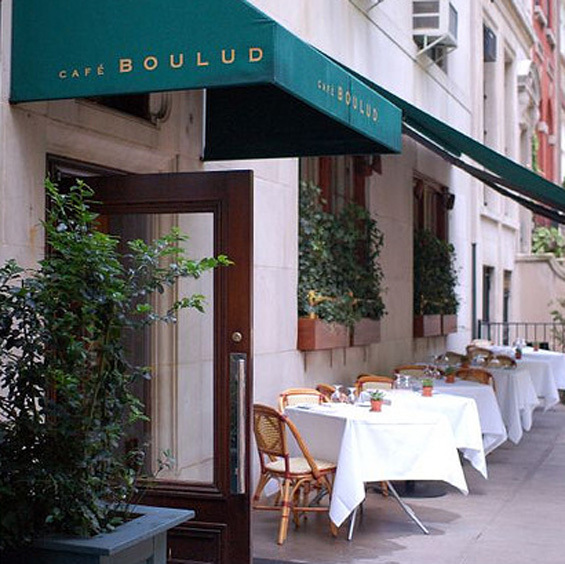 Café Boulud, 20 East 76th Street and Madison Avenue, Manhattan. 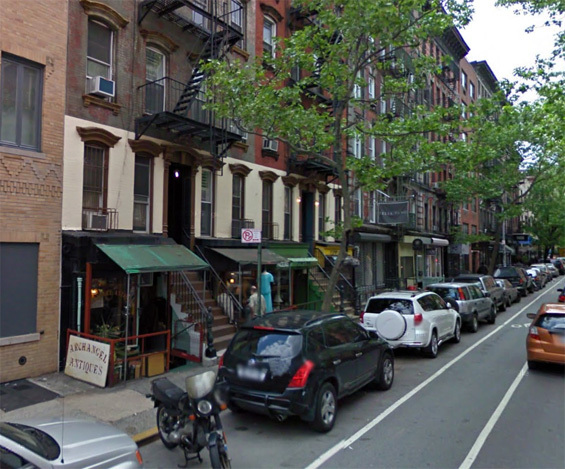 Prince Street and Mott Street, Manhattan. 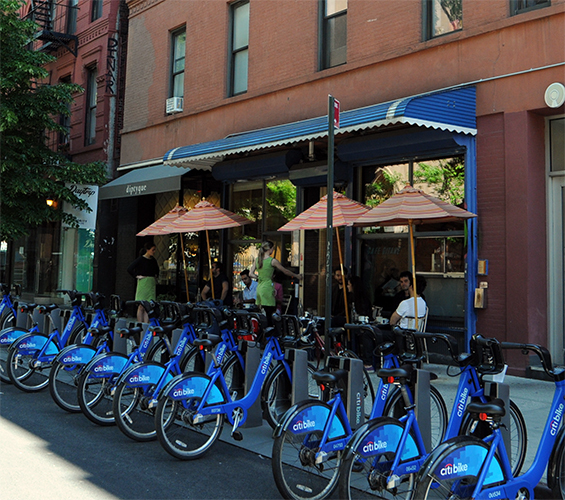 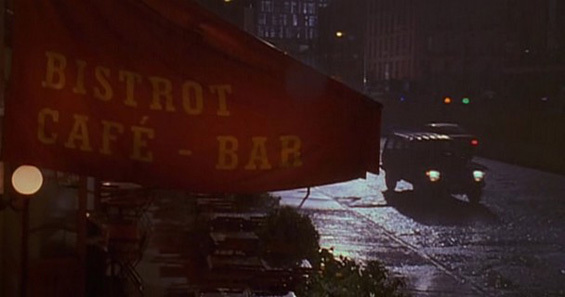 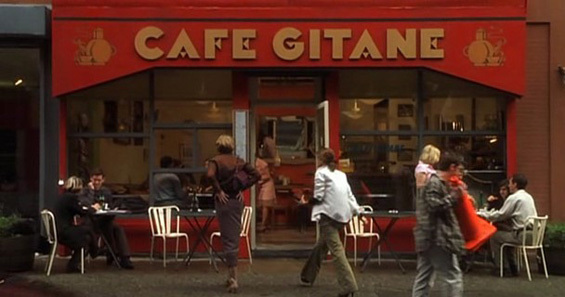 Café Gitane, 242 Mott Street and Prince Street, Manhattan. 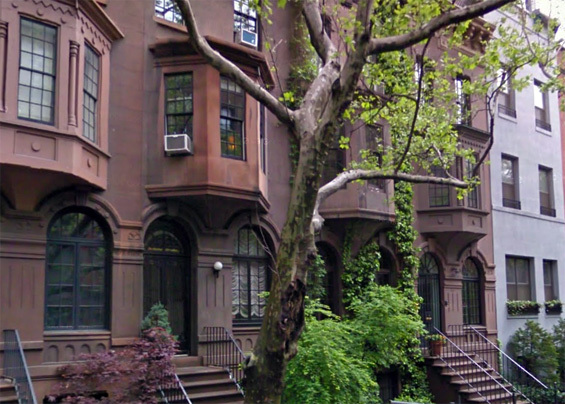 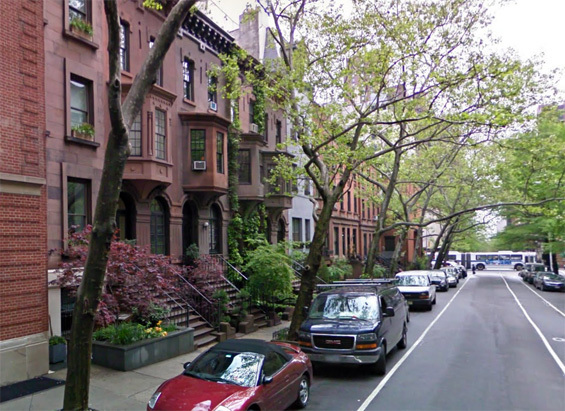 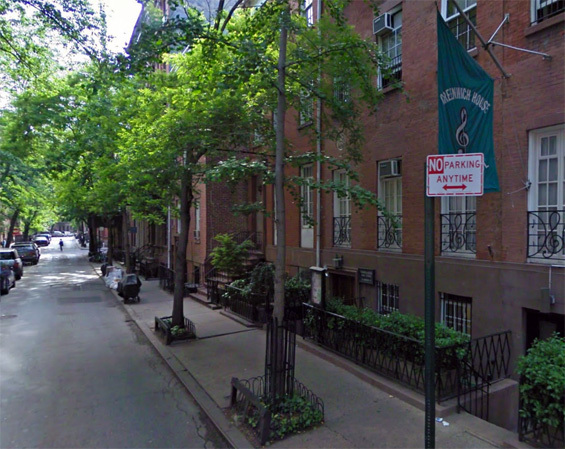 Susan's Apartment, 112 East 91st Street and Park Avenue, Manhattan. 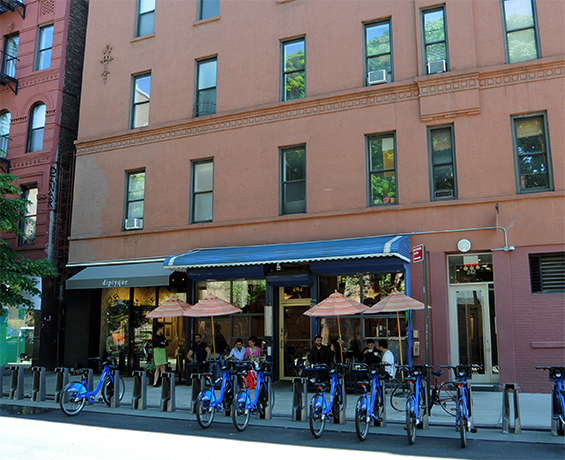 46 Barrow Street and Bedford Street, Manhattan. 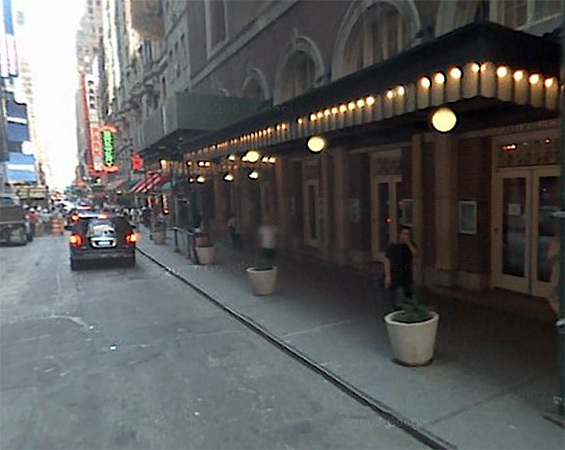 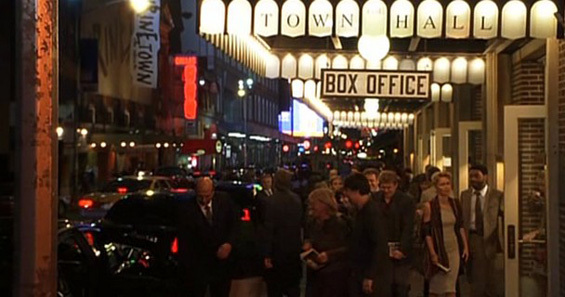 Town Hall: Box Office, 123 West 43rd Street and 6th Avenue, Manhattan. 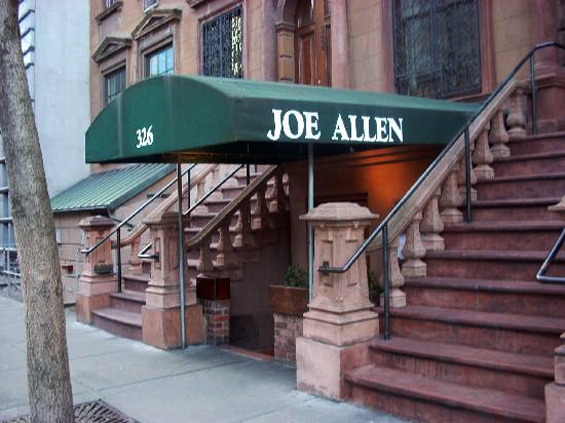 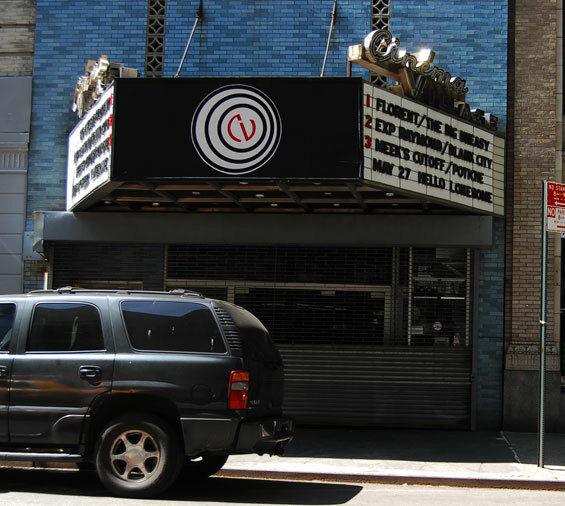 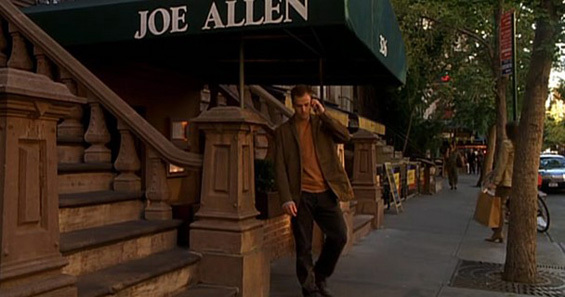 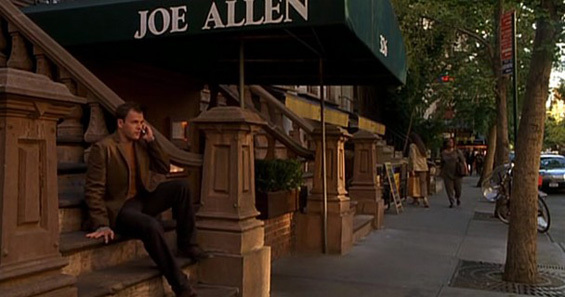 Joe Allen, 326 West 46th Street and 8th Avenue, Manhattan. 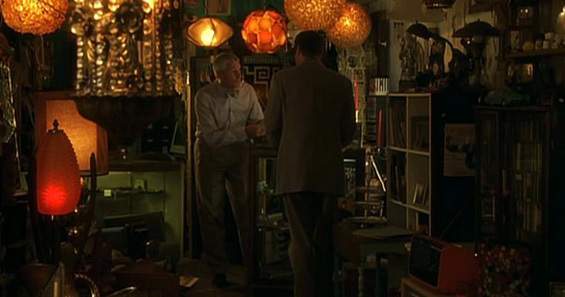 Archangel Antiques, 334 East 9th Street and 2nd Avenue, Manhattan. 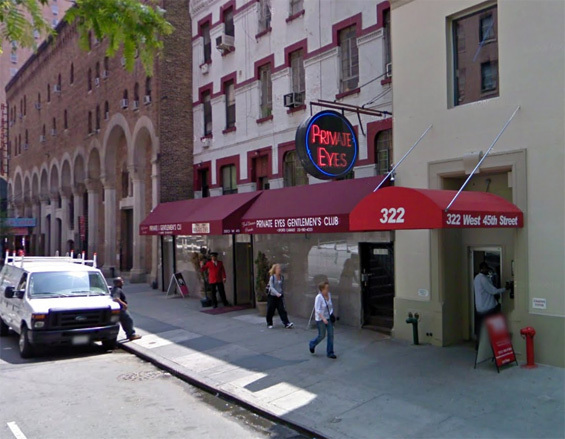 322 West 45th Street and 8th Avenue, Manhattan.